Brutal start to this new season and a reset for the entire show. How will the group change moving forward in the aftermath of this bloodbath. Was it too much to stomach; or just the usual fare? Listen in to find out what we thought in the premiere podcast episode of The Walking Dead's 7th season. 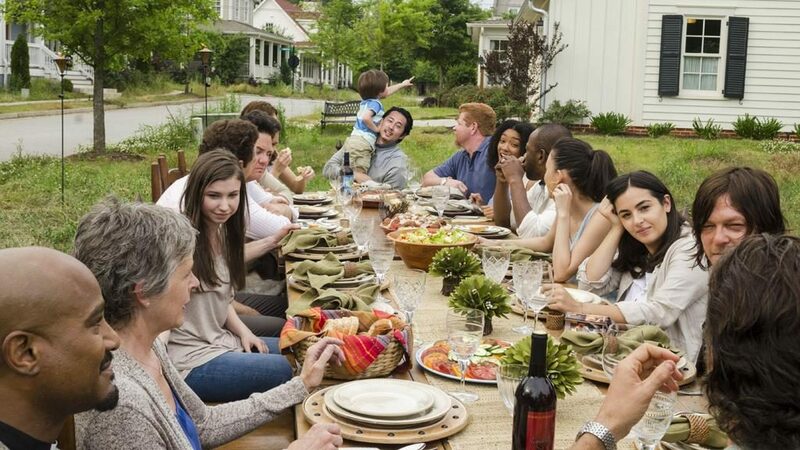 Listening to the podcast and Walking dead girl dad is saying that Abraham was not flashing a peace sign at Sasha, however I read an interview where the actor and the director confirmed that is what he was doing. It was not in the script but the actor brought it up and they thought it was a good idea. Yes, that’s true, It was clearly there! Thanks for the feedback.